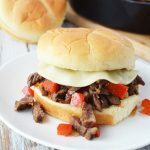 There isn’t much to tell you about this Philly Cheesesteak Sloppy Joe recipe, I believe the photography speaks volume! I just wish I could capture the amazing flavors in these beef sloppy joes! 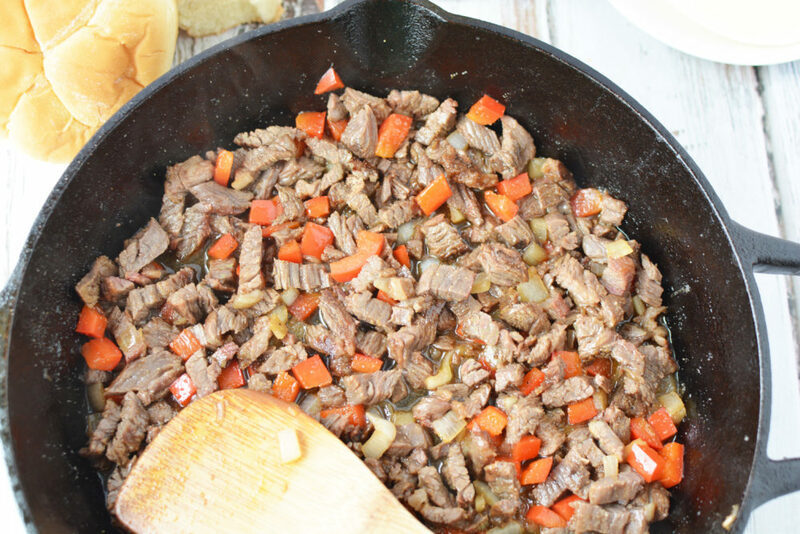 Such a great combination of ingredients resulting in one of the most delicious sloppy joe hamburger you’ll ever make! 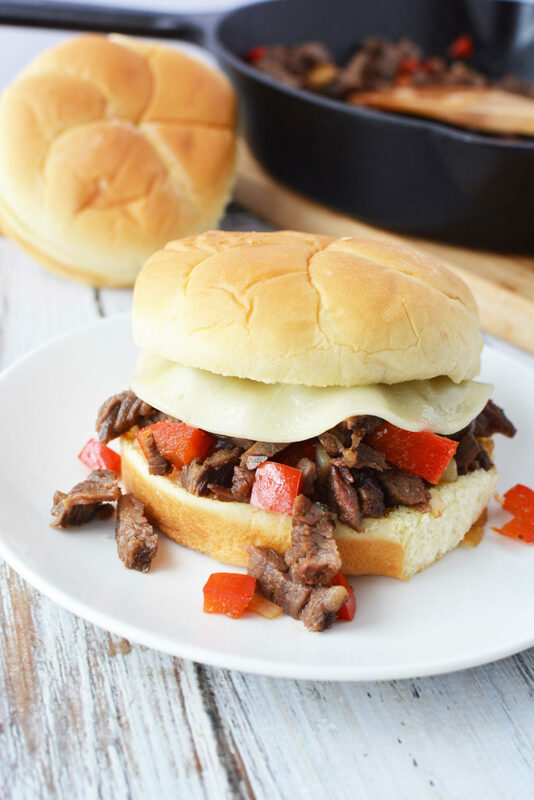 This Philly Cheesesteak Sloppy Joe is also super simple and pretty quick to make without sacrificing flavor, a great dinner idea for busy people! And the best part is, you get to use “real ingredients” for an all natural meal that everyone will love. Second best part? 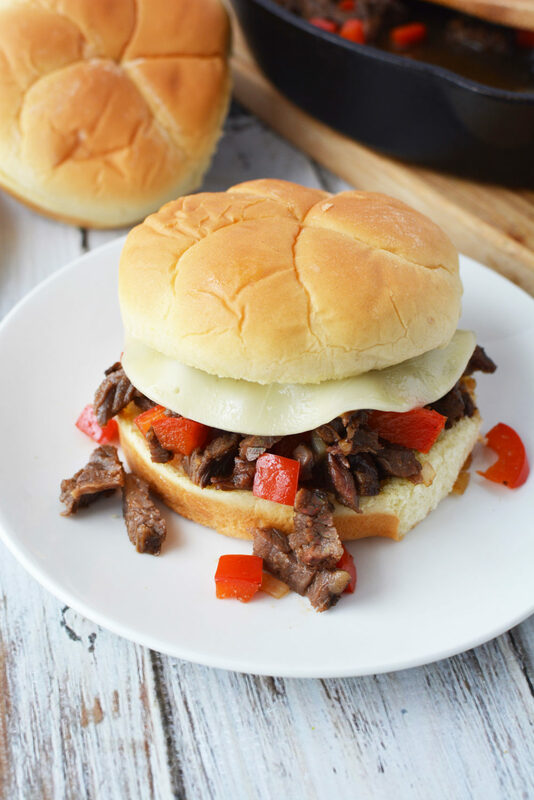 You won’t be reaching for that napkin as often as you would if using ground beef and sauce in your Philly Cheesesteak Sloppy Joe. This makes it perfect if you have kids because let’s face it, who needs more mess at the end of the day when all you want is hit the pillow as fast as possible? 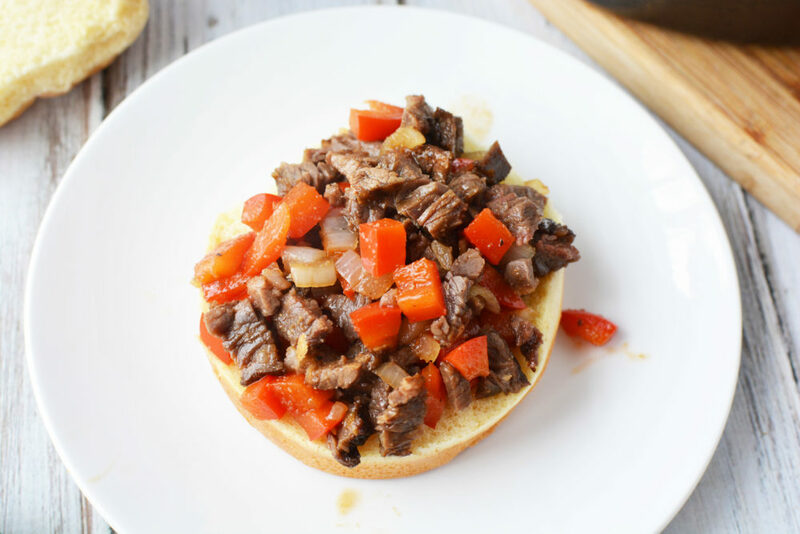 You can make your yummylicious Philly Cheesesteak Sloppy Joe with flank steak, as I did but you can also use ribeye and top round. 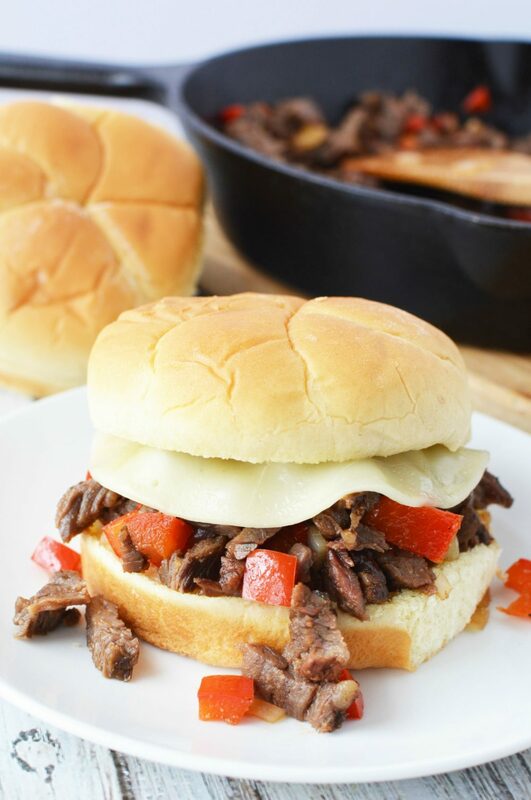 Leftovers are also great to use in this recipe!The choice is yours and these philly sloppy joes will taste like million bucks! This recipe serves 4. 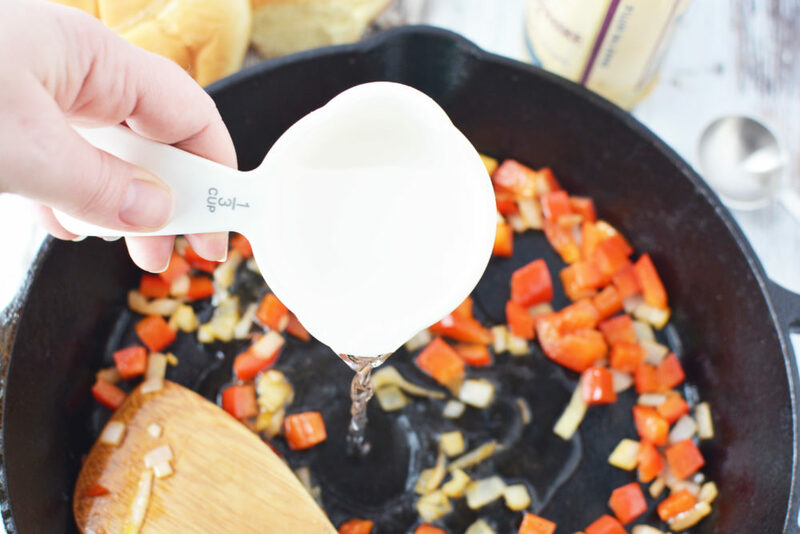 Add oil, onion, pepper and garlic to a frying pan. Heat on medium heat for 2-3 minutes or until vegetables are tender. Add water, Worcestershire Sauce and steak and mix well. Stir in brown sugar and season with salt and pepper. Spoon onto hamburger buns and top with slice of cheese. Repeat for 3 additional sloppy joes.